I have been putting my beloved Hunter boots to good use this season as El Niño wreaks havoc here in So Cal, forcing me to get more creative styling them different ways. This way in particular is one of my faves because it's so comfortable and also not my standard black and white uniform type outfit. I wore this to meet up with fellow blogger friends Ale and Laura for a catch-up sesh with a side of outfit pictures (hello, we're style bloggers). We had a great dinner where we discussed our goals for our blogs and a-top of my blog goals is to post more frequently, and have the blog posts be of good quality. I'm determined to make it happen, and I hope you enjoy all of the blog posts that are coming your way! Let me know if you want me to style outfits for certain occasions/events in the comment section below! Very cute rainy day outfit. 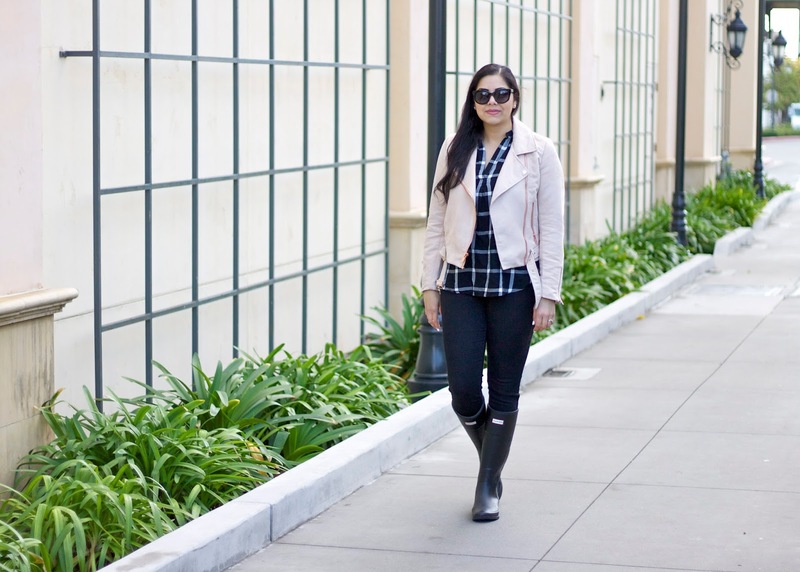 I did a recent post about dressing for rainy weather. Love the whole outfit. That's a lovely and stylish look. 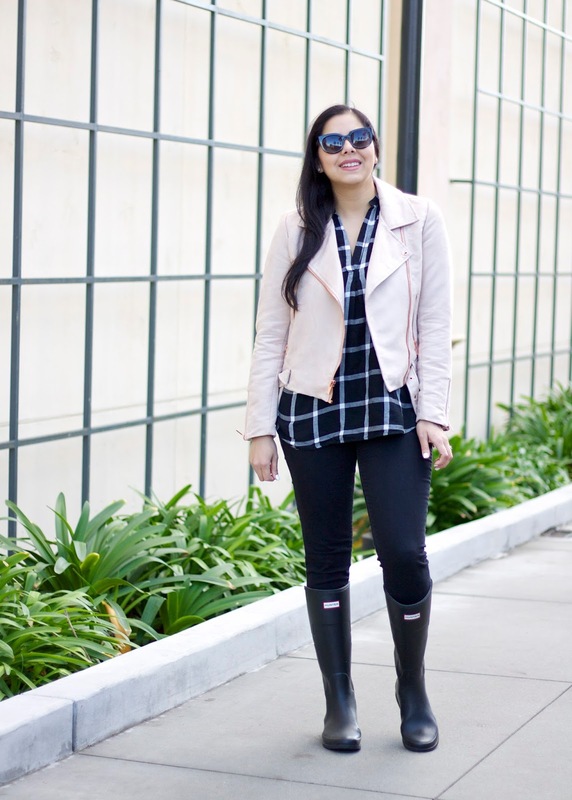 I always struggle to find the right away to style rain boots, but you styled these boots so perfectly! Love the cute outfit. 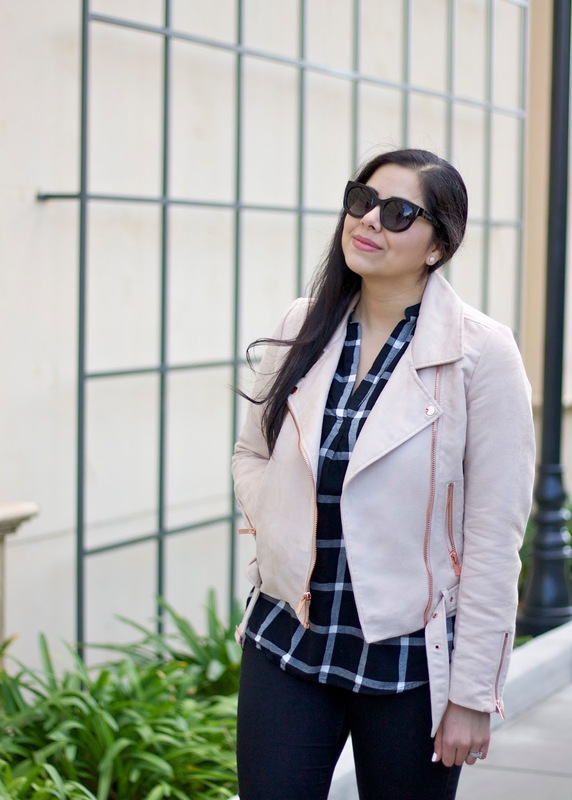 The leather jacket is TDF! Very chic!! love the boots! !